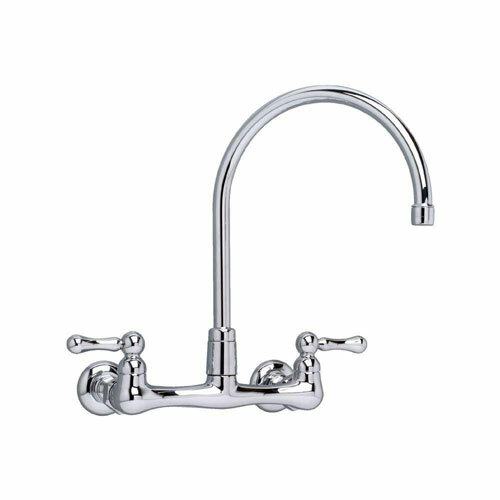 The American Standard Heritage 2-Handle Kitchen Faucet in Polished Chrome features a high-arc gooseneck spout that swivels to help provide easy sink access. The separate lever handles for hot and cold water meet ADA standards for universal use and provide more precise adjustment of water volume and temperature. The polished chrome finish complements a variety of decorating schemes and the wall-mount design gives it a vintage look.